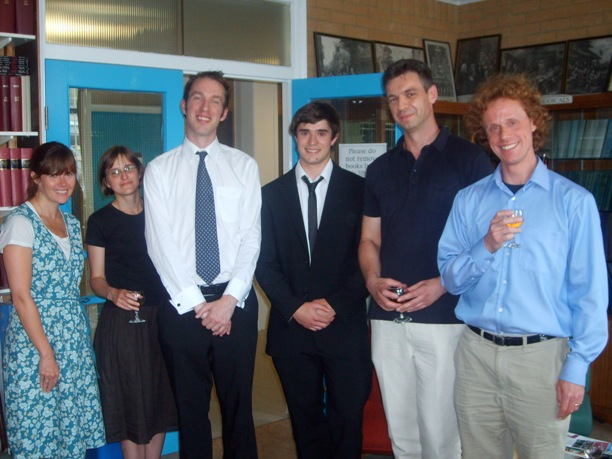 Pictured below is Robert Crosland (BA History, 1st class), winner of the Martyn Bendor-Samuel prize for best undergraduate dissertation 2009-10, celebrating his award with members of the Department (Robert is third from right). This entry was posted in Students Page and tagged Martyn Bendor-Samuel Prize, University of Reading. Bookmark the permalink.